Adapt this recruiter job description for your own use. The recruiting function will vary from company to company but the essential responsibilities remain constant. Recruiters are often specialized in certain areas such as technical job recruiters, executive recruitment and nursing recruiting. 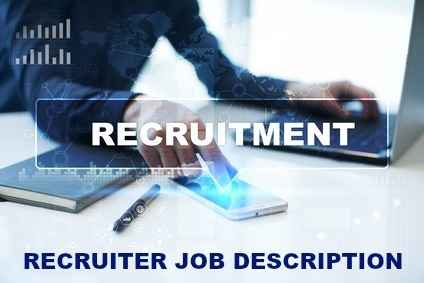 This description for general human resource recruiting covers all the key tasks and requirements for recruiters jobs. Develop recruiting strategies in support of organizational staffing objectives. Execute recruiting strategies to deliver suitable job candidates for assigned positions. Indeed.com shows the average salary for recruiter jobs in the US as approximately $48,800 per year as of March 2019.